A spinal stenosis back brace is a specialized orthotic product which is designed to provide relief from stenosis-related pain, typically while standing or working. Back braces are some of the most common of all therapy products and are used to treat a staggering array of diagnosed conditions in the lower back, middle back, upper back and neck. While back braces might be popular, they are rarely even indicated for the diagnosed condition that they are being used to treat. In fact, many applications for back braces might be counterproductive and unnecessary. Spinal stenosis is a perfect example of one of these scenarios. This investigative article details why using a back brace for spinal stenosis makes no sense whatsoever and might even help to discover a misdiagnosis of the underlying painful syndrome. What is a Spinal Stenosis Back Brace? Back braces are used to support muscular tissues in a particular area of the spine. Some braces are also used to treat scoliosis or immobilize areas of the anatomy, but these are not the varieties which are ever used to treat stenosis symptoms. Therefore, we will concentrate on the first mentioned variety of support brace for the remainder of this essay. Support braces can be made of stretchy material, or leather, and might have individual features, such as boning or the ability to add heat or TENS treatment to the therapy provided. These devices are secured by buckling, lacing, velcro or elastic, and are theorized to reduce the likelihood of injury or pain, given proper use. The only instances where these products provide any verified efficacy at all include when a muscular injury is being rehabilitated or when a person is strenuously working and simply trying to prevent muscular strain. Braces are not helpful for herniated discs, degenerative disc disease, spinal arthritis or any type of spinal or foraminal stenosis. These issues are not caused by back muscle problems and can not be adequately treated using a brace. In central spinal stenosis patients, the central spinal canal is said to be constricted, placing pressure on the spinal cord and eliciting symptoms. Meanwhile, in foraminal stenosis patients, one or more of the neuroforaminal spaces are reduced in patency, thereby causing a compressive neuropathy. In both varieties of stenotic change, the problem exists deep inside the actual spinal anatomy. The problem has nothing to do with the muscles or other superficial tissues. The first reason why a patient might see actual pain relief from a spinal stenosis back brace is because of misdiagnosis. Sure, the stenotic change might exist, but it is not the actual underlying source of pain. It is simply coincidental. This happens all the time and is an epidemic problem with a variety of back and neck pain diagnoses, in general. The second reason why a person might enjoy relief from utilizing a stenosis back brace is the placebo effect. It is well documented in the medical literature that a person who believes in the efficacy of a given treatment, no matter how ludicrous it is logically, might see some actual benefit. This simply demonstrates the tremendous power that the mind has over the body. 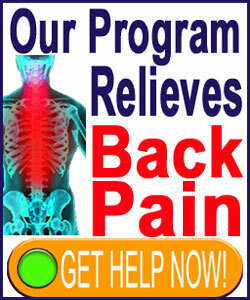 We see placebo treatments daily, ranging from drugs to chiropractic to surgery. In fact, if it were not for the placebo effect, some stenosis treatments and products would enjoy almost no efficacy at all. Remember, using any type of brace might provide a nice feeling of security, but will not do anything at all to treat canal stenosis, prevent stenosis-related symptoms or prevent injury to the interior of the spine. Support braces do just that: they provide support for muscles and nothing else. We know that many of you are reading this in disbelief, since you have been wearing a very expensive brace for a long time and feel that you need it in order to survive. Never forget that many care providers sell these directly or have lucrative affiliate arrangements with orthotic suppliers. That is more than enough incentive for the care provider to make you believe that the brace is helping. In essence, you buy it and they make even more money from you, as if the exorbitant fees for diagnosis and treatment were not enough. 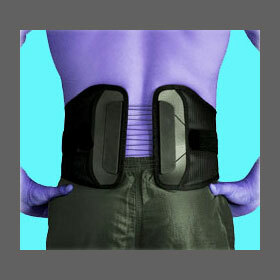 If you are enjoying the benefits of a back brace for stenosis, and are not sure why, please re-read the section above. It explains everything and you will likely fit into one of the 2 possible categories described therein. In our experience, we find back braces to be little more than pricey toys that make doctors lots of money, waste a patient’s time and create false hope that a cure is possible. Chalk this opinion up to decades of experience working with tens of thousands of patients at this point, as well as disappointing personal treatment experiences of our own.